Jam products in different flavors available in jars and containers are some of the favorite breakfast bread complements around the world. As these jars and containers are usually made from glass or other hard and thick materials, printing brand logos, names and fancy designs on them is just not possible and the best option to display all the important relevant information on them is to use Custom Jam Labels from Go Stickers. We offer high-end Jam Jar Label products customized to perfection with unique printing and surface finish options and also fine accurate die cut shapes and sizes. Our superior bulk offers also include free printing plate and free cutting die equipment with free shipping as well. 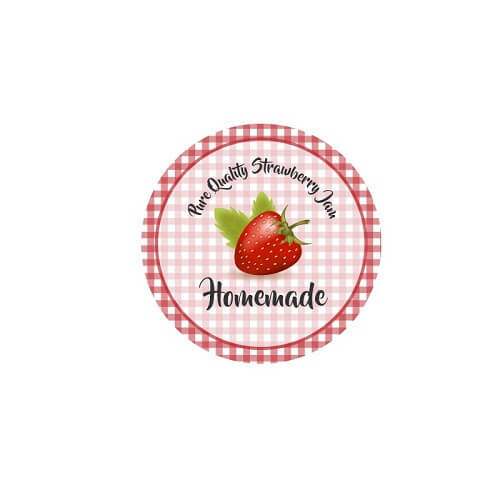 Whether you need labels for your Homemade Jam or commercial retail-based jam in various flavors including apple, banana, raspberry or Strawberry Jam options, we will provide all the different types of labels including lid labels or jar and container body labels. The special Spread the Love Jam Printing for Christmas or Thanksgiving labels are also available with unique event appropriate designs and beautiful embellishments. Whether you want to wrap your jam jars with these labels entirely or prefer to go neat with any particular sizes, we will deliver the most satisfying solutions with high-quality labels right to your doorstep. Go Stickers make use of the advanced offset printing for our Jam Paper Labels or composite materials labels, this accurate printing method not only delivers some of the most natural colors but also provides options for many different printing customizations as well. Choose any custom printing options from embossing, debossing, gold/silver foiling or raised ink printing for your brand logo, name or other fancy designs to make your prepared jam jars look and feel great for retail shelf based selling purposes. If you need some Printable customizations that are not mentioned, let us know, we will provide satisfactory products fulfilling all your requirements. When you are preparing homemade jam jars for your home use, the option to Make Your Jam labels suits great but for fancy events, occasions or commercial purposes, you will need high-quality labels manufactured from high-end materials, and this is where Go Stickers provides the best options in the market. Whether you want custom Wedding Favor Jam Labels or Personalized Mini Jam Jar Labels, our high-quality materials with multiple surface finish options including elegant matte, spot UV or fine gloss will deliver most efficiently. 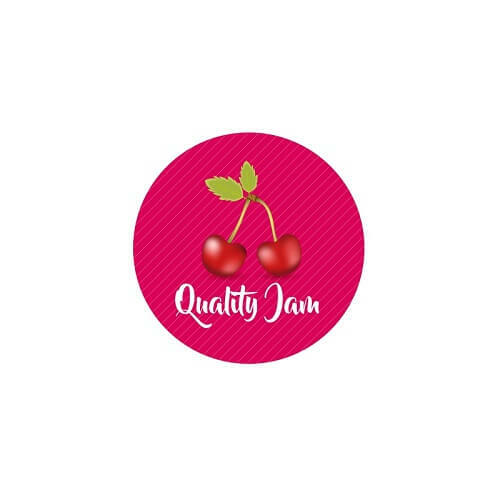 Not only do our high-quality jam jar stickers make your jars look great but enable them to stay good as new for a very long time helped by their durable materials. If Personalized Jam Jar Label products with high-grade materials, attractive designs and unique look and feel finish options are what you are looking for an affordable price also interest you for bulk labels, we will provide you with cheapest Wholesale Jam Labels at highest value for money in the market. Our top end bulk offers also get you free shipping, free printing plates, and free cutting die equipment as well.